Clariti® 1 day is designed to help you provide more of your daily disposable patients with the benefits of silicone hydrogel material. Because silicone hydrogel lens material allows more oxygen to pass through to the cornea than hydrogel, your patients will appreciate the benefits of whiter eyes and a healthier(2) lens-wearing experience. 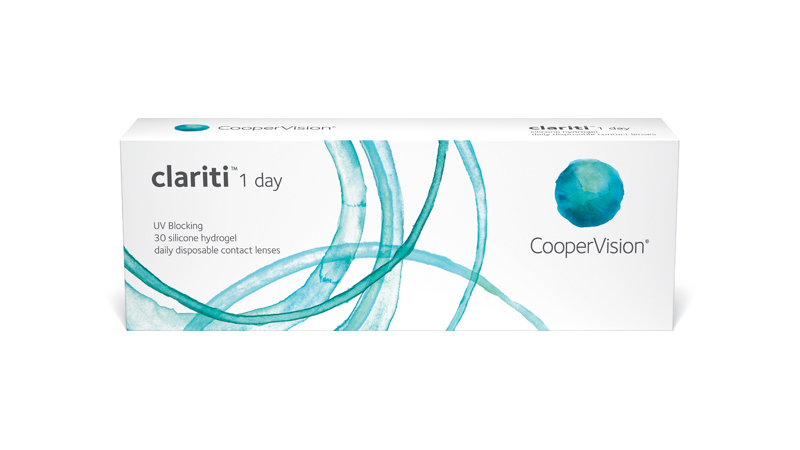 The clariti 1 day lens allows 100% corneal oxygen consumption(3). In fact, it provides more than the recommended amount of oxygen(4) across the entire lens surface to help maintain ocular health. CooperVision clariti 1 day features WetLoc™ technology, a process that creates a hydrophilic lens with optimal wettability. WetLoc is a non-surface treatment technology that manipulates the structure of hydrophobic silicone molecules so they become hydrophilic. This creates a lens that naturally attracts and binds water molecules, holding them tightly to the lens surface. WetLoc also provides continuous wettability throughout the wearing time. The result is a lens with high water content(5) that provides excellent all-day comfort for your patients.